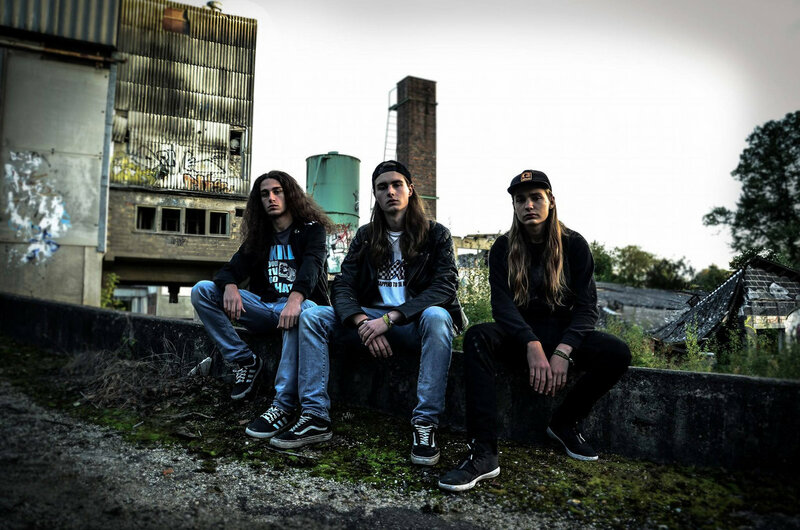 Interview with Dennis Rušnjak, guitarist for German thrashers Wulfpack. Maximum Metal: Congratulations on releasing your debut album, 'War Ain't Over!'. It has definitely been on our radar half the year and a record I'm placing in the top thrash albums of 2018. How does it feel to get that first full-length record completed and released? Dennis Rusnjak: Well it's been a tough way to get there. Saving the money, people leaving the band the day before we were supposed to hit the studio, etc. So it's a hell of a relief to finally have it out there! "As we got older we surely became better musicians and songwriters but I think the biggest change is that our music has gotten more groovy"
MM: Like most readers, Wulfpack is a fairly new name. Despite being active for five years now the group started out as The Gamps, right? How did the band form and what led to the name The Gamps and then later Wulfpack? DS: Our guitarist Dennis and I formed the Gamps in 2012 together with former Wulfpäck bass player Bobby Roth. We changed the name in September 2013 as we got a new drummer and started playing metal music as opposed to the more rock-oriented music we played before. MM: The band's first demo, 'Enter the Pack', was released in 2013, followed by the EP 'Pork' a year later. Other than "Pork", are any of these songs featured in some way on the debut album? Maybe re-titled are reworked? DS: "Pork" was the only previously released track we put on the album. We‘ve used two riffs we wanted to keep from our first demo for the title track of the album though. MM: When you compare this full-length record with the demo and EP, what noticeable changes are there? What are the biggest improvements and strides you have made since the band started? DS: As we got older we surely became better musicians and songwriters but I think the biggest change is that our music has gotten more groovy than the straight thrash metal stuff we wrote before. MM: Obviously, just from the cover art alone this album has some social commentary--a political message. What are you telling us with the album's vivid artwork and how does that message tie into the album lyrics? DS: We wanted something radical and direct just like our lyrics. We originally had a different cover planned. We ended up not being able to use it so we contacted Andrei Bouzikov. That was his first idea and we loved it immediately. MM: With tracks like "Slaughter the Police", which are bold statements, has the band had any negative feedback or outcries from listeners or press? MM: Who exactly is "Mr. Shitface"? It's the album's opening track and designed to make an impact right out of the gate. DS: There is no specific Mr. Shitface. To us, he's basically a personification of evil. In the context of the lyrics we especially thought about politicians. So, there you go. MM: The band is signed to a label that really knows and understands thrash music--Violent Creek Records (Toxic Waltz, Hateful Agony). How did that agreement come about? DS: A few years ago we became pretty good friends with Traitor and now also Wulfpäck bassist Lorenz Kandolf. His band had already signed with Violent Creek records and so Lorenz took the opportunity to show our songs to the label. After some great feedback they wanted us on board and we were happy to take the chance. 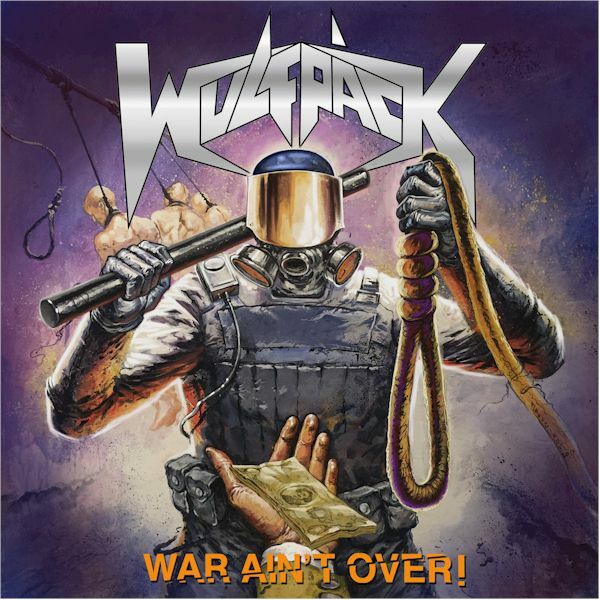 MM: Wulfpack is steeped in the sounds of German thrash--Destruction, Sodom, Kreator, But, there is a lot of Bay Area influence as well. How would you describe Wulfpack to unfamiliar listeners? DS: So far, I would call it a combination of aggressive up tempo riffs and massive groove parts. It's funny though that people get reminded of Teutonic thrash bands when they listen to our music, because that's actually not the type of stuff we are into that much. MM: Top 5 thrash records? MM: What do you say to press or fans that place Wulfpack into the stereotypical label of "New Wave of Thrash Metal"? Is that still a thing? DS: It's probably still a thing. People will always categorize us in some way but we don't really care about it. MM: I know it's early and we are fresh off the release of this debut record...but how long is the wait until the second album is released? DS: We don't have any certain plans for a new album yet but we already started writing on new material and there's definitely gonna be another release or two coming this year I can tell you that much. MM: Where can I get an awesome Wulfpack t-shirt here in the US?? I gotta have one! DS: You can send us a message to our Facebook page with your order and we'll ship it to you. MM: Good luck with the new album, upcoming shows and the new year. Keep it Maximum Metal! DS: Thank's a lot dude. Party on! Dennis Rušnjak Eric Compton 1/25/2019 "The War Ain't Over!"